This is a Wholesale Lot of 60 guns. Also available individually. Blast off into outer space with this futuristic Super Spinner Space Gun. 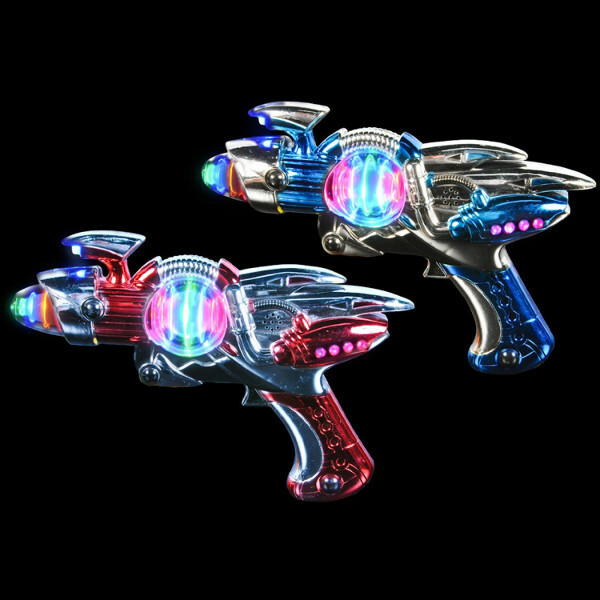 Light Up Sound Effects Guns are an incredibly good time day or night. When the trigger is pulled, the gun will sound and the Magic Spinning Ball located in the gun's barrel will light up while spinning rapidly. 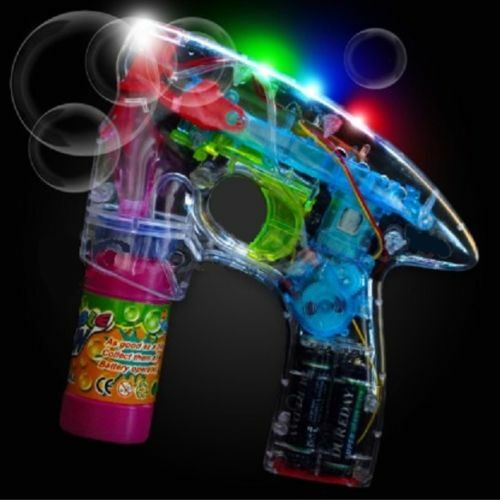 The top of the Flashing Gun will also emit a bright blue light when you pull the trigger. Multi-media barrage of sight and sound!